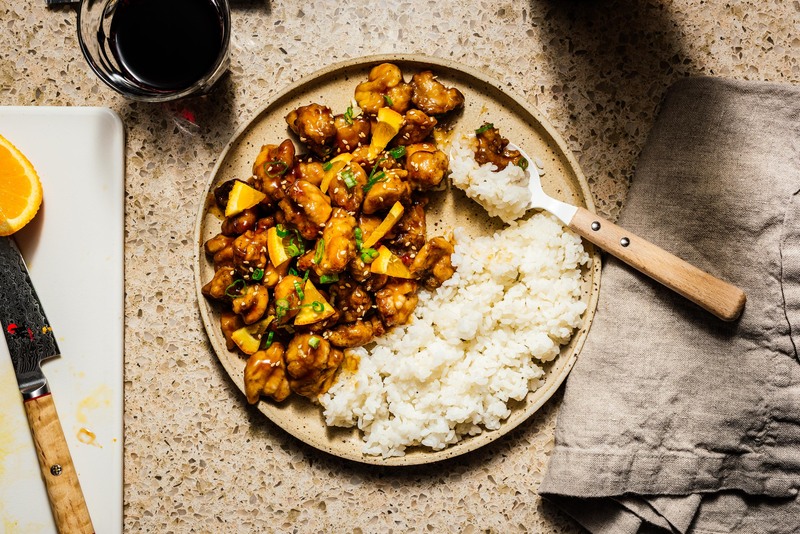 Pretty much everyone knows and loves orange chicken, the dish upon which a panda empire was started. This is a healthy, not-quite-copycat, slightly more authentic version that you can feel good about eating every night if you want. 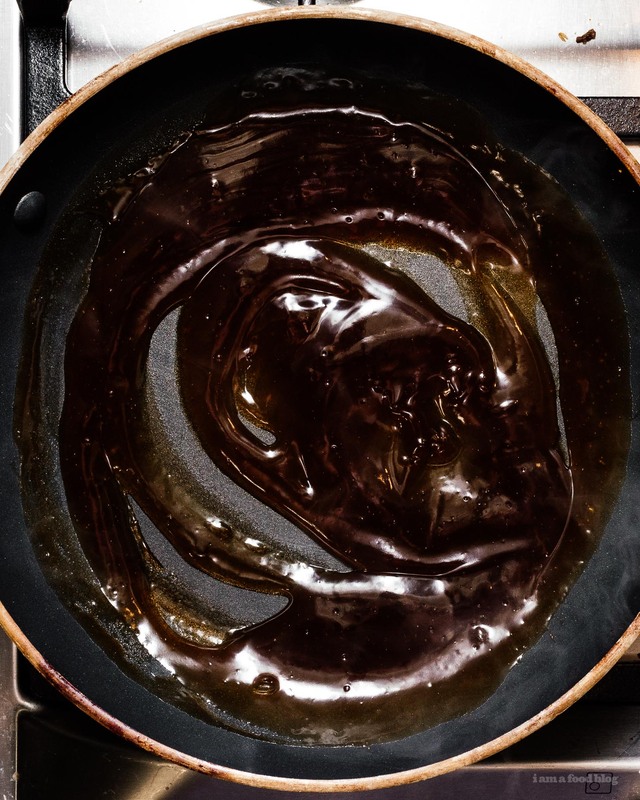 It’s not deep fried, oily, or difficult, and it’s utterly, utterly delicious. 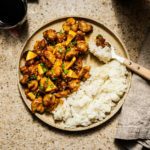 A tangy, bright, and slightly sweet sauce comes together with lightly crispy chicken and forms something that’s far more than the sum of its 6 ingredients worth of parts. You may need to adjust the sugar content to suit you because it’s not possible to predict the sweetness of the orange you end up with. Serve with rice, fried noodles, and maybe a healthy side salad. 1. 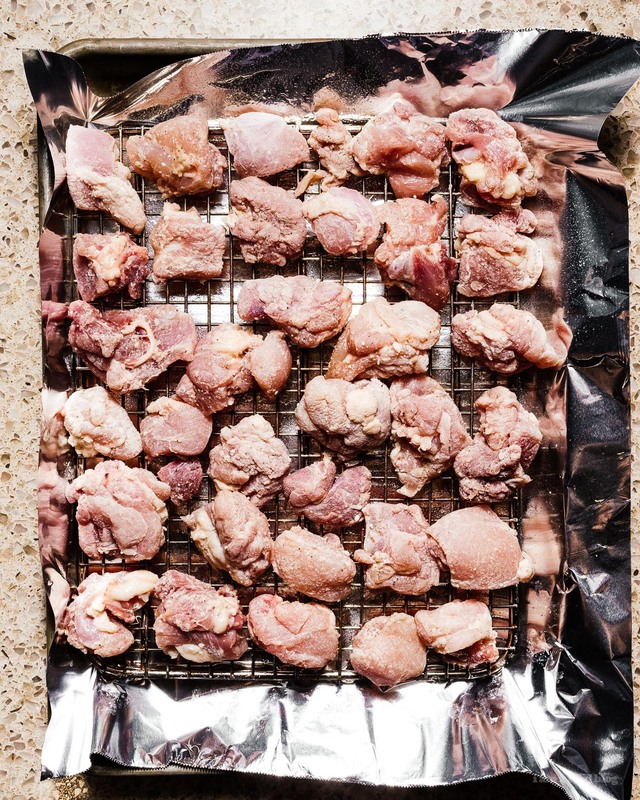 Preheat your oven to 450ºF and season your chicken with salt and pepper. 2. 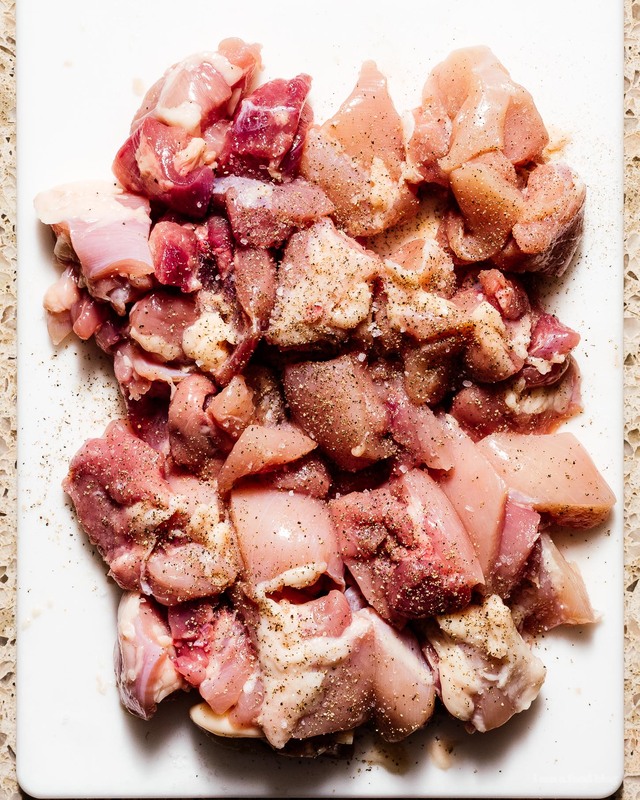 Transfer your chicken to a ziplock/plastic bag along with 2 tablespoons of corn starch and shake well. 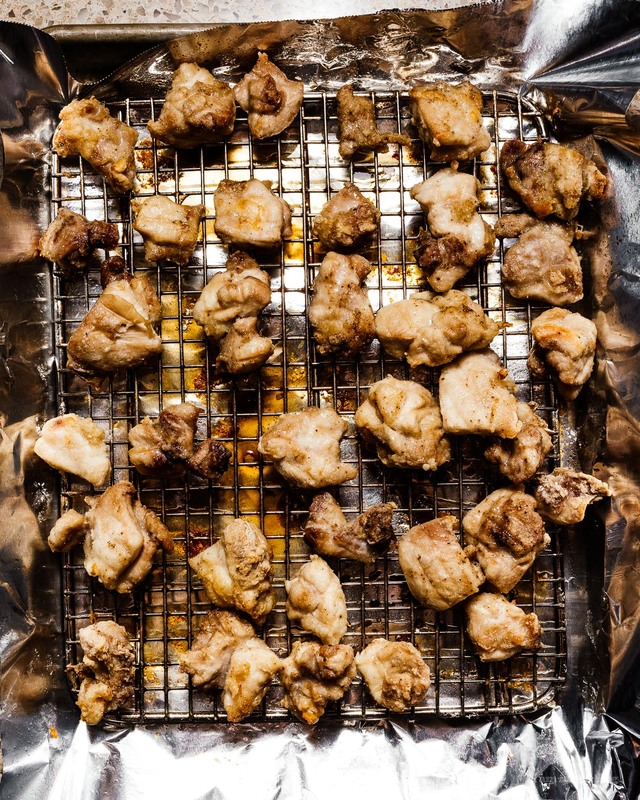 Arrange the chicken onto an oiled tray on a foil lined baking sheet. 3. Bake your chicken for 30 minutes at 450ºF, flipping once after 20 minutes. 4. 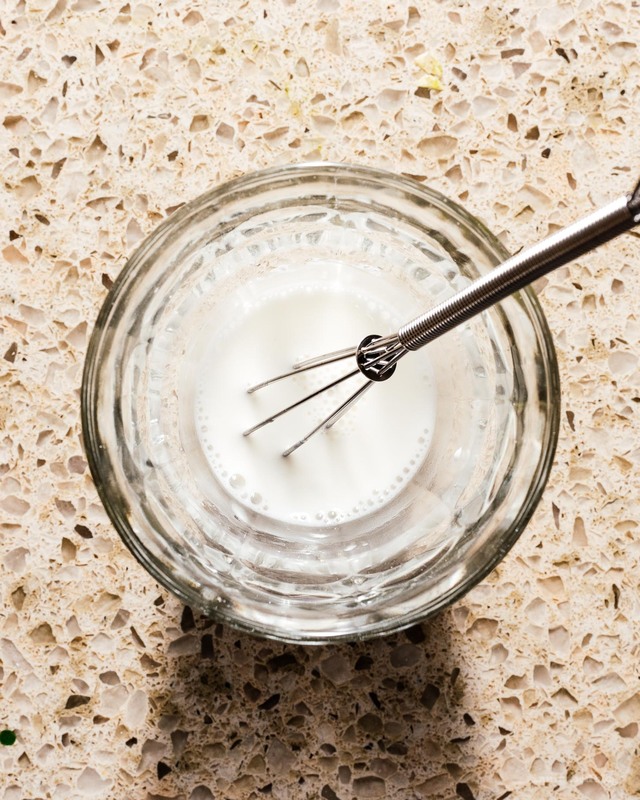 While the chicken is baking, add the remaining 1 tablespoon of cornstarch to 1 tablespoon of water in a cup and stir into a smooth slurry. 5. 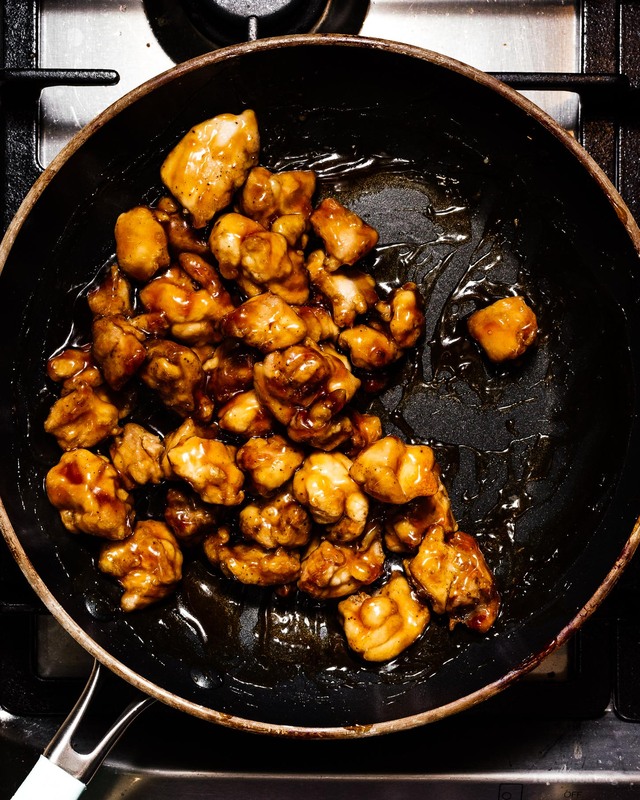 Make your sauce by combining orange juice, soy sauce, rice vinegar, and sugar. Add the corn starch slurry to it and bring to a boil, then take off the heat and stir until a smooth and glossy sauce forms. Set aside and relax with a glass of wine until the chicken is done. 6. When your chicken is crispy and brown, toss it in the sauce until everything is evenly coated. 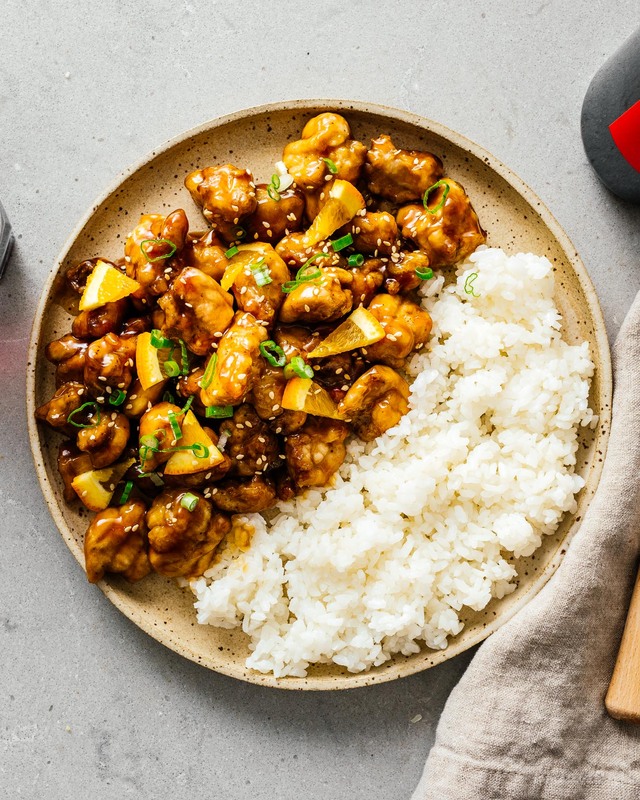 Top with sesame seeds and chopped green onions with a side of rice, and enjoy! This was so good! The only thing is that the sauce is too strong to have more than a little dribble on the rice. But it was so delicious! Will definitely make this again. And I baked the chicken in the barbeque, putting it on the rack on the baking sheet like the recipe said to do, but had the barbecue heat on medium. It took about 20 minutes to cook. I also sprayed the chicken with oil during the last half of cooking so it wouldn’t dry out. Thanks for the great recipe! When you say “too strong” in what way was it strong? Too sweet, too citrusy? Just wondering before I make. Thanks! Husband and 6 yr/old approved! Thank you. I see pieces of cut orange in the picture but not in the recipe. I know that slivers of orange with peel would be very delicious and yet- not in the recipe……. planning to put it in anyway!! I used chicken breast, and forgot to oil my tinfoil that I put under the wire rack. But my chicken didn’t really brown they kind of stayed white. Could this have been from not using the oil? Not that it mattered the finished product was delicious with the sauce, I think I just wanted the chicken to be a bit crunchier.